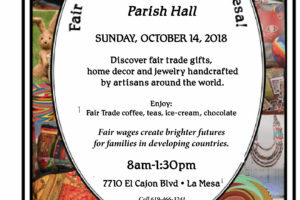 Home » Fair Trade Shopping Event in La Mesa! 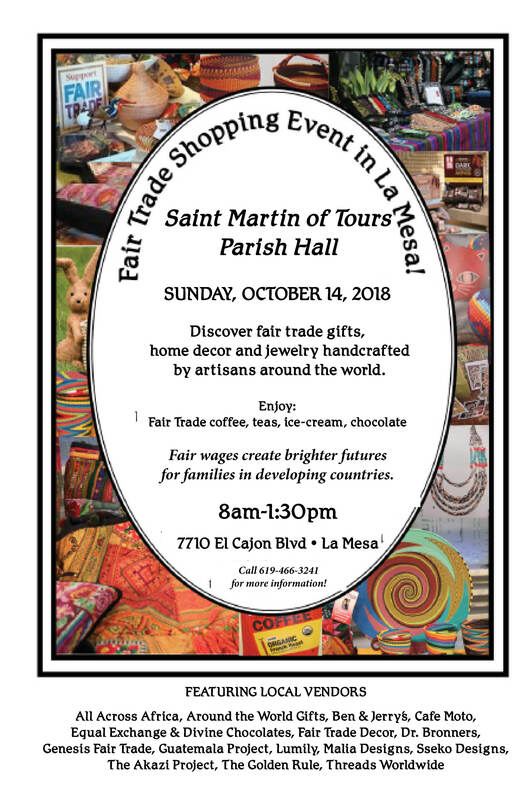 Fair Trade Shopping Event in La Mesa! Discover fair trade gifts, home decor and jewelry handcrafted by artisans around the world. The fifth grade class will be selling coffee, chocolate & tea to earn money for their sixth grade camp fund.